Transformer tank wall mounting plate for Neoptix optical feedthroughs along with the JBox2 enclosure option. The Neoptix TWP tank wall plate is specifically designed for installation onto your power transformer tank wall. It has to be mated with our OFT optical feedthroughs. As a standard item, the TWP is made out of cold finished 1018 steel (ASTM A108). If needed, it can also be manufactured using any other material, including stainless steel 316. 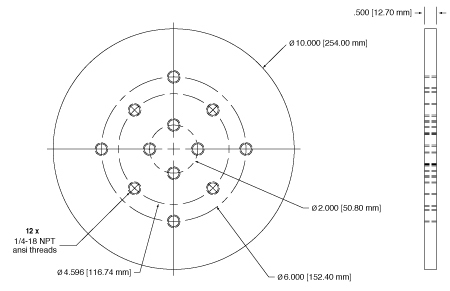 The tank wall plate accommodates from 1 to 24 optical feedthroughs and is supplied with plugs to close unused holes. It comes standard with 1/4 NPT ANSI threads. 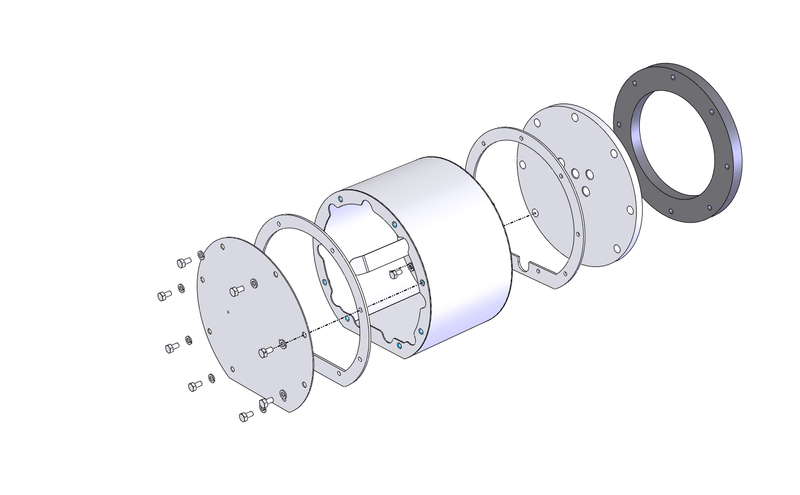 The TWP can be welded directly on the tank wall. The tank wall plate is available upon request with eight unthreaded holes for direct bolting, with gasket or O'Ring, onto the tank wall. 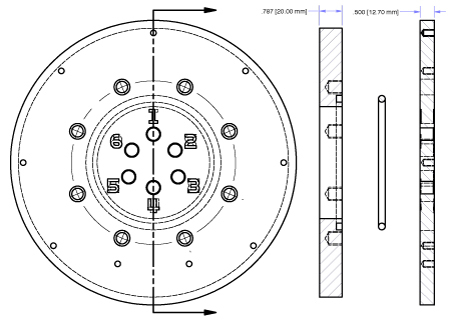 The Neoptix tank wall plate can also be supplied with the necessary threaded holes for a direct mounting of the Neoptix JBox protective enclosure. This unique junction box let you saved precious time and ressources to achieve a complete fiber optic installation. 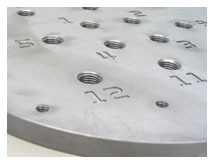 Each NPT hole is numbered on both sides of the plate using a deep engraving technique allowing perfect reading of numbers even after being painted. Moreover, both interior and exterior sides are also engraved. This protective box is designed to be mounted directly over the Neoptix tank wall plate. The JBOx has a flat section that accomodates conduit for routing the optical extension cables from the side of the transformer up to the signal conditioner.